Salt Lake City, UT – Now in its eighth consecutive year, the Ski City Shootout is once again pairing up the top professional photographers and local pro athletes to battle it out for more than $11,000 in cash prizes and bragging rights as they attempt to capture the magic of Ski City and the Cottonwood Canyon ski resorts on film and sensor. Formerly known as the Ski Salt Lake Shootout, the contest has adopted a new name that’s in sync with Salt Lake City’s new marketing campaign as “Ski City USA”. A new category was also added this year that’s open to amateur photographers, “Urban Meets Mountain”. 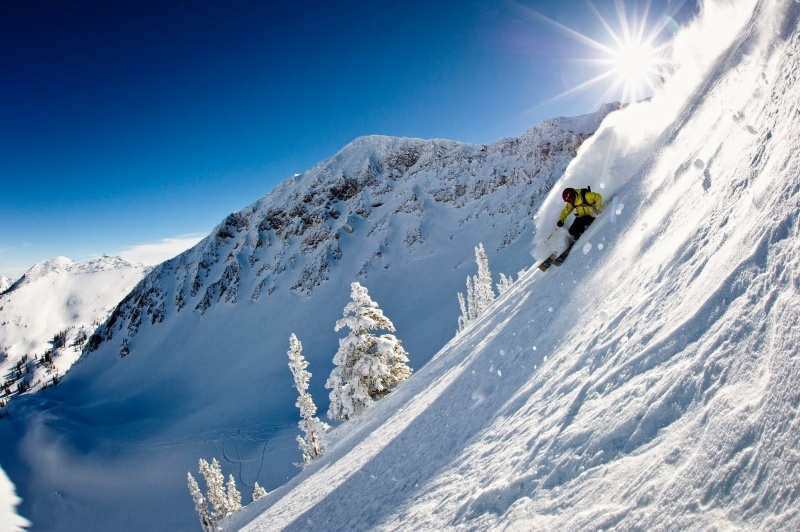 Visit Salt Lake is looking for established professionals and up-and-coming photographers, as well as local athlete talent, that’s stoked on capturing winter action in ways that make people “stop and pick their jaws up off the floor.” Ski City and its four resort partners — Alta, Brighton, Snowbird and Solitude — want the best of the best. Shootout applications must be received no later than Monday, November 17, at 5:00 p.m. MST. Photographers chosen to compete will be notified by email on Monday, December 8. Organizers are asking that you not apply for competition if your schedule will not permit you to participate in the shooting schedule that takes place from Feb. 23 – Feb. 28, 2015, or if you do not agree to the terms and conditions. One day will be dedicated to each Cottonwood Canyon resort. Imagery will be submitted at the end of the week in the following categories. Each photographer submits a portfolio of eight photographs showcasing the best two images shot at each resort. Portfolios should capture the magic of each Cottonwood Canyon resort—showcasing what truly makes each resort special. Photographers can submit one photo depicting the interaction between city and mountain (think après scenes, glimpses of ski culture in the city, urban life with an outdoor/winter twist). Three prizes will be awarded. All photos entered will have the chance to be featured in Ski City promotional materials. This year’s Urban Meets Mountain category is open to both professional and amateur photographers. Those wishing to participate only in the Urban Meets Mountain category need not fill out an application. Each skier, working with his or her photographer, submits one photo of his or her choice from the week, from which Ski City’s panel of judges will choose a first, second, and third-place winner. One-time photo rights of the winning image will be given to Ski City for use in an ad promoting the athlete, photographer, and Ski City Shootout in a future POWDER Magazine issue. Each skier submits his/her best overall Instagram photo of the week, hashtagged with #skicity. This photo will be included in an online voting competition on Ski City’s Facebook page. The photo that receives the most votes (“likes”) within a five-day period wins. Skiers selected to participate in the 2015 Ski City USA Shootout will be encouraged to submit photos throughout the competition on Instagram with the hashtag #skicity. Each week, the top three Instagram photos, chosen by Ski City’s panel of judges, will each be awarded two Ski City Super Passes.